Chandigarh is a city and union territory in India that serves as the capital of two states which is Haryana and Punjab. 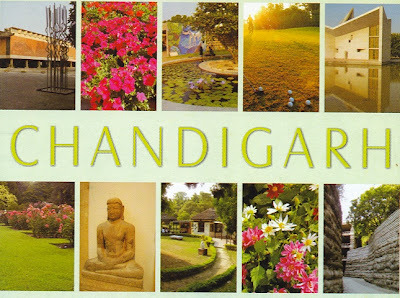 The name Chandigarh translates as "The Fort of Chandi". The name is derived from an ancient temple called Chandi Mandir, devoted to the Hindu goddess Chandi, near the city. 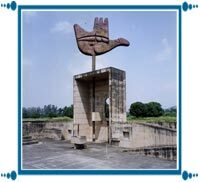 The city of Chandigarh was the first planned city in India post independence in 1947 (pre-independence planned cities include Dispur in Assam, New Delhi in Delhi, Jaipur in Rajasthan, etc.) and is known internationally for its architecture and urban design. The city has projects designed by architects such as Le Corbusier, Pierre Jeanneret, Jane Drew, and Maxwell Fry. The city tops the list of Indian States and Union Territories with the highest per capita income in the country at Rs.99,262 at current prices and Rs.70,361 at constant prices (2006–2007). The city was reported in 2010 to be the "cleanest" in India, based on a national government study, and the territory also headed the list of Indian states and territories according to research condueted using 2005 data by Human Development Index.
. Chrysanthemums Show in Chandigarh . India is one of the most significant monuments of the city. The credit for laying down its plan goes to Le Corbusier. It is located in sector 1 in the Capitol Complex. Chandigarh open hand monument has been designed in the form of a giant hand made from metal sheets that rotates like a weathercock, indicating the direction of wind. This giant hand is 14 metres high and weighs around 50 tonnes. The significance of open hand is that it conveys the social message of peace and unity that is "open to give & open to receive." Open hand is the city's official emblem. Rock Garden of Chandigarh is a Sculpture garden in Chandigarh, India, also known as Nek Chand's Rock Garden after its founder Nek Chand. The Grain market is situated in Sector - 26 Chandigarh , also houses city marketing committee. The specialty of this place is that city people and merchants throng this place from day to buy vegetables, pulses, dry fruits, fruits at wholesale rates. The merchandise is delivered from throughout India and from abroad. One can easily find non-seasonal fruits and vegetables here. The market marks beautiful and colorful presence of all kinds of vegetables and fruits and vendors, both males and females. One can also find here exotic plants and bulbs for sale in stores like Durga Seed Store. Many exotic dry fruits are imported from Iran, China like dates, apricots, etc.